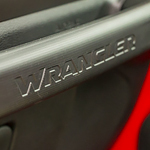 Jeep Wrangler: See the Great Safety Features at St. Paul Chrysler Dodge Jeep Ram! The Jeep Wrangler is famous for being the compact SUV that adventure lovers drive. A day off-roading is great for anyone who lives in a city or commutes a lot. At St. Paul Chrysler Dodge Jeep Ram we take pride in our knowledge of the safety features that come with the Jeep Wrangler. Hill Start Assist is a safety feature that will keep you going forward! While some people may have problems rolling backward when they are off-roading, the Jeep Wrangler stays put and moves forward while starting on a steep hill. The Jeep Wrangler comes with a Tire Pressure Monitoring safety feature that allows you to focus more on the terrain than if your tires are low or not. An alert will tell you if the tire pressure is low in your tires. When you need a spare, a full-size tire is your spare. You can have peace of mind that your wheels will get you on and off of those rough roads.